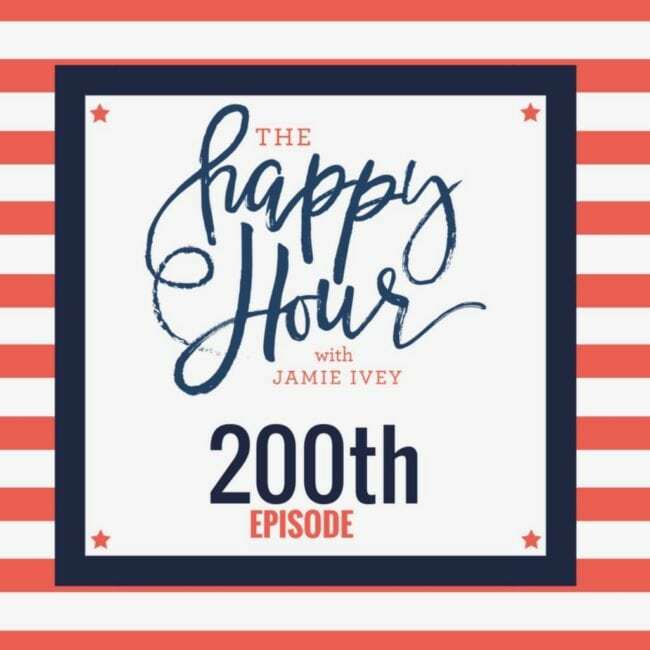 My guest for The Happy Hour # 200 is my all-time favorite guest on The Happy Hour, my husband Aaron Ivey. Friends, I cannot believe that The Happy Hour is celebrating its 200th episode!!! I want to thank each and every one of you for listening, sharing the show, joining us in Book Club or Happy Hour Live, and supporting If You Only Knew. Thank you, thank you, thank you! I'm honored and humbled to be able to share so many women's stories. These stories made us laugh and cry -- sometimes at the same time! -- and have encouraged, inspired, and most importantly pointed us to the Gospel. On today's show Aaron and I share some favorite moments from The Happy Hour. We hear a little bit from twelve different episodes and we get to talk about everything from the single life, married life, kids, how men and women look at approval, diversity, creativity, and more. I would have loved to share clips from every single episode, but if you want to catch up on any shows you missed, maybe a Happy Hour podcast binge is in order! Thank you again to each and everyone of you for listening, sharing your stories, giving feedback, and building this community. I truly thank you from the bottom of my heart and here's to the next 200 shows! Grace Notes Subscription - use code happyhour for 20% off!